It’s been about a month since Jeff and I completed Metal Gear Solid 2: Sons of Liberty. Generally, I try and write about a game within a few days of completing it but this game wound up provoking so many mixed emotions for me. It’s left me awestricken in many ways, some good and some bad. This is a game that’s often touted as the first postmodern video game, and while I’m too much of a dullard to fully comprehend this statement, the way my own opinion has been split in so many ways is indicative of its provocative nature. It’s a game I admire and disdain at the same time, and I’ll try my best to detail some of the major reasons why. Stealthily eliminating foes was the way to go. Like our recent playthrough of Metal Gear Solid, this wasn’t my first experience with this game. I originally played it a couple of years after its release and recall thinking the world of it then. As a sequel, the narrative subverts most preconceived notions of what to expect, and I think high school John really got a kick out of that. As an adult, I still find that fascinating, perhaps more so now, especially having directly completed its predecessor. One of the most notable ways Kojima did this was through a bait-and-switch of the protagonist. While the first hour or so of the game stars Solid Snake, as one would expect, the true star of the game is Raiden. As a character, he’s anything like Solid Snake, the gruff, self-assured action-movie hero one expects in a game like this. Instead, Raiden is supposed to represent the player, a novice whose preparations for the big time constituted training in virtual reality. These preparations leave him undoubtedly skilled, but not with a mindset capable of being successful in the ways Solid Snake has been previously. His lack of confidence was grating to witness, although his character arc climaxed with my impression of him notching up a little bit. 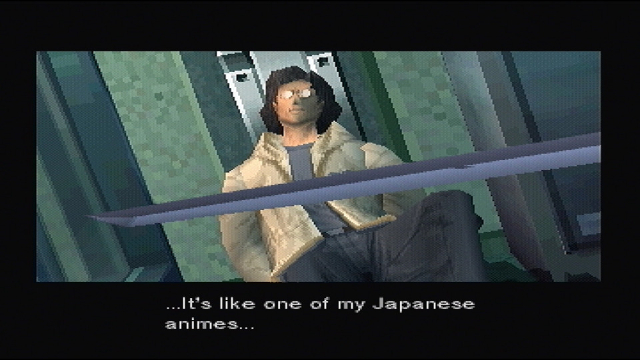 The story of Metal Gear Solid may have grown convoluted but it doesn’t hold a candle to anything on display here. At its most basic, this game centers on Snake and Otacon’s quest for Metal Gear nonproliferation and Raiden’s journey to discover himself. Then about a dozen layers are added on top of those and any further comprehension requires extensive notetaking and periods of downtime to digest the events of the lengthy and frequent cutscenes. The breakdown between actually playing the game and watching it was somewhat jarring, although I did enjoy watching more than playing. Maybe I feel that way because the time I had to develop my stealth and combat skills was squashed between lengthy conversations that took me out of the experience? Either way, I felt my performance was less impressive compared to the previous game. 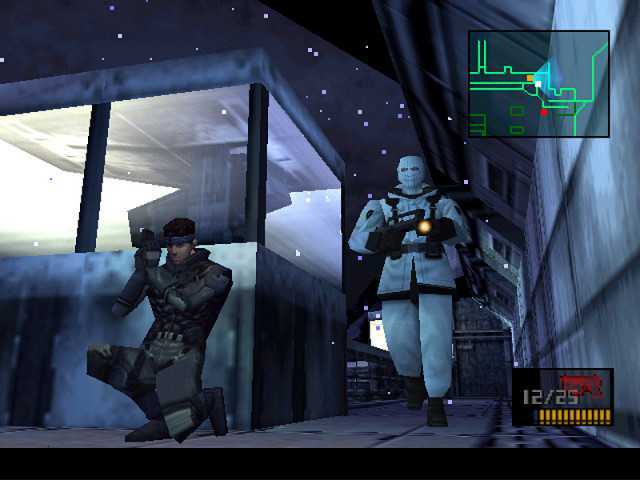 Due to narrative reasons that are mind-blowing, the events of the game are purposefully similar to the Shadow Moses Incident and wind up serving as little more than a test to creating a solider equal to Solid Snake. Pulling the strings is a shadow organization known as the Patriots. Already in control of the United States (every election has been a sham and most major government officials are representatives of the organization) they’re seeking control of the flow of digital information now. A new Metal Gear was designed and the AI contained within, GW, is the construct to achieve their goal. There are about another dozen crucial characters and their allegiances and double crosses become confusing narrative fodder. Thankfully I did take detailed notes but even so, I remain unclear on many things and feel another playthrough is necessary to really comprehend everything. Nonetheless, the narrative was the freshest aspect of this game and it was unpredictable at every point. Raiden was a tough character to like. Likewise, the depth found in the gameplay has also been drastically increased. The increased AI is no joke; no longer do guards make buffoonish decisions when catching a glimpse of Snake in a box. Rather, they call reinforcements more often than not and send in additional soldiers to “clear” an area, searching in most nooks and crannies. It felt like setting off an alert resulted in many more mission failed screens compared to the previous game. I want to say in addition to the more stringent AI, the alerts lasted longer too. Frequently, I would throw Raiden or Snake in the line of fire just to get a quick reset instead of hiding for the few minutes it would take for things to cool down. This resulted in a less enjoyable gameplay experience. It’s also one of the reasons I’d like to replay the game again, just to take my time and devote all my focus to remaining stealthy and see if my performance and enjoyment increase. The gameplay improvements are not relegated solely to stealth actions. Gunplay received an overhaul in the form of first-person shooting. First-person shooting provided a greater level of accuracy when eliminating enemy threats, and provided some fun when taking them by surprise. Individual body parts could be targeted, including the ability to shoot the radios an enemy may call for reinforcements with. 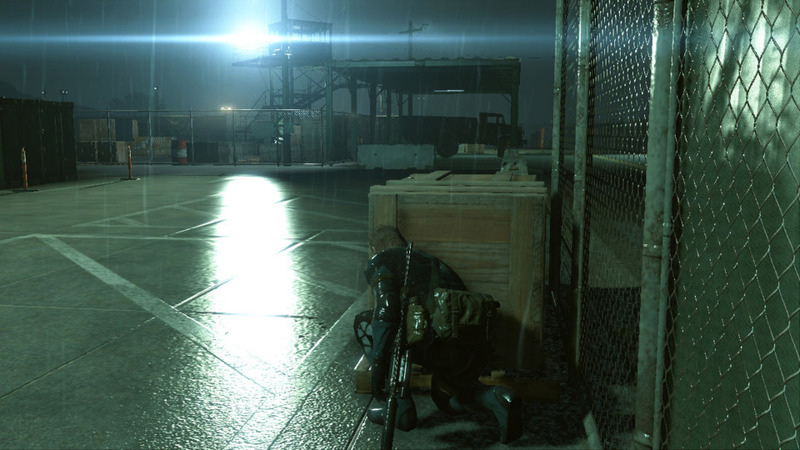 This viewpoint was only useful in specific cases though as the character would remain locked in position – the game couldn’t be entirely played like a first-person shooter. It was a smart addition nonetheless and added a further layer of complexity to approaching a situation. With first-person shooting, the level of precision allowed increased immensely. Shooting soldiers, or glass bottles, in specific locations yielded different outcomes. Like its predecessor, there were many great set piece scenes with most of them revolving around the varied boss fights. Again, there was a rogues’ gallery of bad guys to defeat and each encounter was a unique experience. I can’t think of any being down-to-earth showdowns; for instance, Raiden battling a roller-skating mad bomber of sorts or his showdown with a small force of towering Metal Gears. The set pieces extended beyond cinematic fights though, including one particularly frustrating platforming section. One section in particular ate our lunch, seeing us retry twenty or so times. Raiden was forced to navigate a narrow strip of piping across a body of water and the various obstacles highlighted why such a section didn’t jive with the super responsive character movements. By the end of the game, Raiden had been redeemed in my eyes, proving he could hang tough. What do I think of this game? The narrative is bold, but tough to follow. I want to replay and reread my notes to try and piece everything together. I didn’t much care for Raiden although I felt he was redeemed by the end; for a deeper analysis that I agree with (and reasoning why this game is postmodern), read this. The gameplay split my opinion the most. I like the improvements, even though the increased AI resulted in a tougher game with more frustrations. Again, it’s another reason I’d like to replay, in order to have a more enjoyable experience. As it stands, it was enjoyable seeing what happened in the game, less so to actually play. I still think the original is unsurpassed as a pure video game or piece of entertainment. I would agree that this game is incredibly bold and deserves most every ounce of praise; it just wasn’t as fun to play. 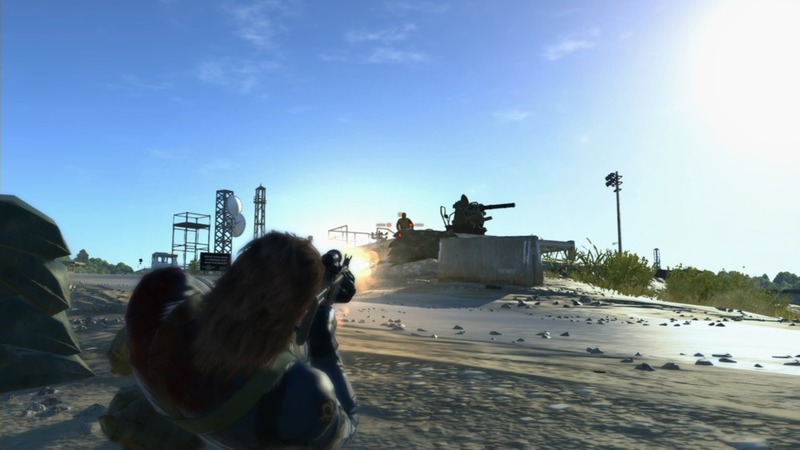 The desire needed to complete Metal Gear Solid: VR Missions must be strong in order to persist through the game’s 300 missions. 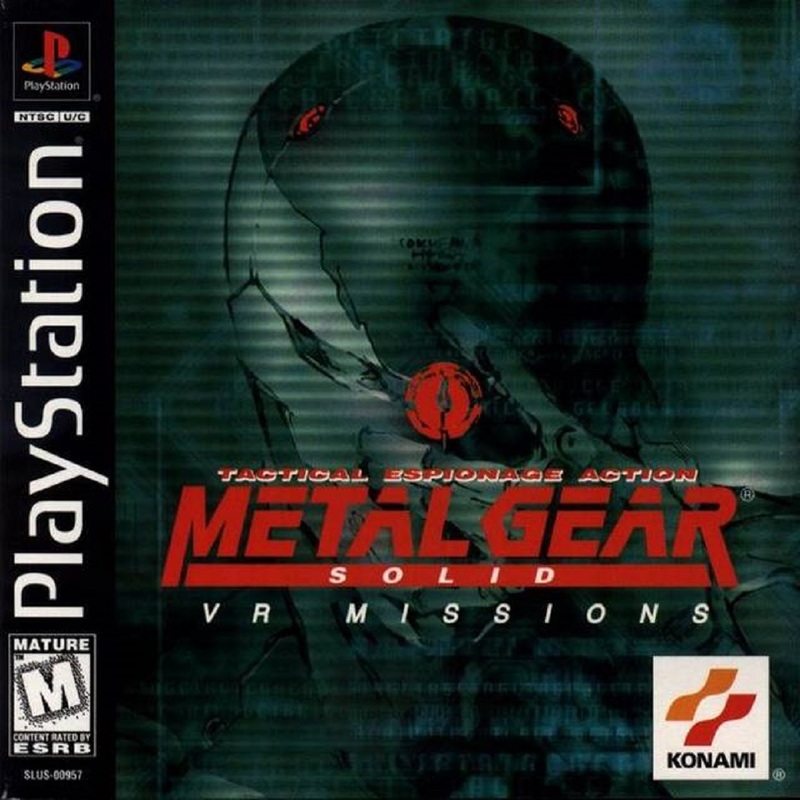 As the name suggests, these missions are set in virtual reality and act as a simulation, presumably for Raiden – the “star” of Metal Gear Solid 2: Sons of Liberty. They put him in the shoes of Solid Snake in a variety of challenges that test his stealth skills, weapon proficiency, as well as some others that are just for fun. There is a great variety of missions and I became intimately acquainted with each weapon and the fundamentals of the stealth gameplay. However, there isn’t a great sense of diversity in the missions. Many repeat and there just aren’t enough unique or goofy missions to warrant the time required, especially as there’s little that adds to the lore. But, I did wind up with a 100% completion rate and eked plenty of enjoyment out of my time with the game. 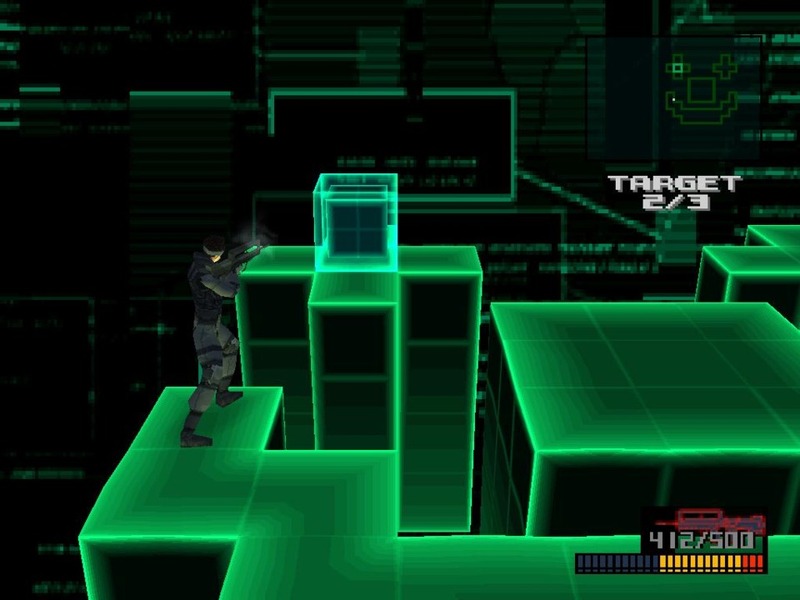 The majority of the missions had a wireframe visual style. Of the four modes the game is divided into, I had the most fun with the final one: special. To unlock it and its various subtypes, I had to work my way through the other three modes: sneaking, weapon, and advanced. Sneaking mode tasked me with just that: being stealthy. To promote this, half of the missions supplied me with no weapons while the other half limited me to Solid Snake’s trusty SOCOM firearm. This forced me away from just mowing down enemy resistance, although this isn’t a tenable strategy most of the times anyway. I was also required to complete these missions a second time in time attack versions. They were identical, only now I was racing against the clock. I got my fill, but wasn’t burned out. The subsequent two modes played out a little differently. The first, weapon mode, equipped me with a single weapon for a series of increasingly tougher missions. Time attack versions were also present meaning I repeated each mission twice. All in all, these weren’t very challenging even at their toughest, perhaps explaining the need for the advanced mode. The setup was the same: a few missions with only a single weapon type equipped putting Solid Snake in a more precarious scenario. Again, time attack versions meant I had to repeat these stages twice. At this point, the struggle to continue playing got real. 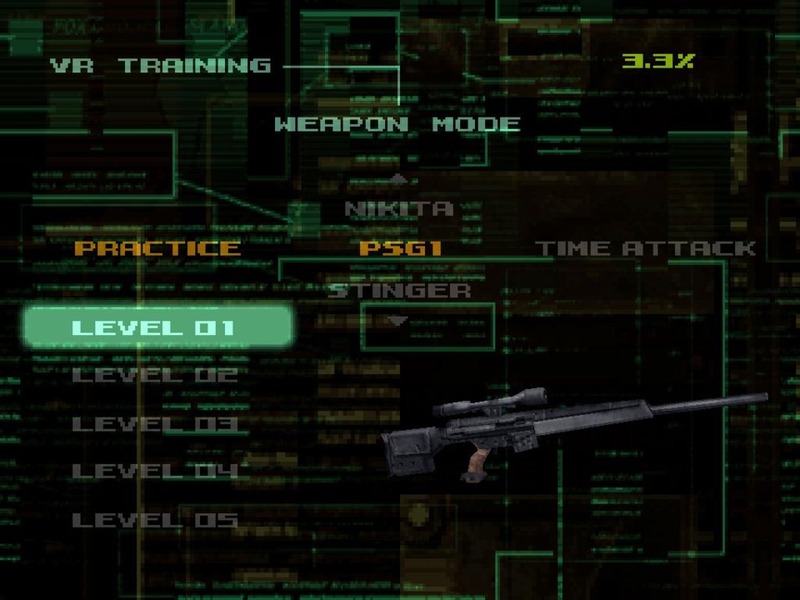 Missions revolving around Solid Snake’s arsenal were the most common. Stripped of a grandiose narrative, VR Missions is solely gameplay driven. In the presentation, it’s practically a puzzle game. It’s loaded to the brim with mostly succinct missions that hone in on one or two facets of the gameplay. For the most part, they’re enjoyable and enlightening – I know I can return to Metal Gear Solid with a more confident understanding of Solid Snake’s arsenal and the stealth options at his disposal, if I wanted to, which I don’t. I came to this title not knowing what to expect necessarily and it really comes off as what it’s portraying – a training tool. Just as much of training is based around repetition, so too is this game and that’s where it became a struggle to persevere. Many of the mission types were very similar, but then having to repeat the bulk of them in a time attack version? That was a real buzzkill. When I made it through the majority of the game and unlocked the various mission subtypes within the special mode, I was a little disappointed. 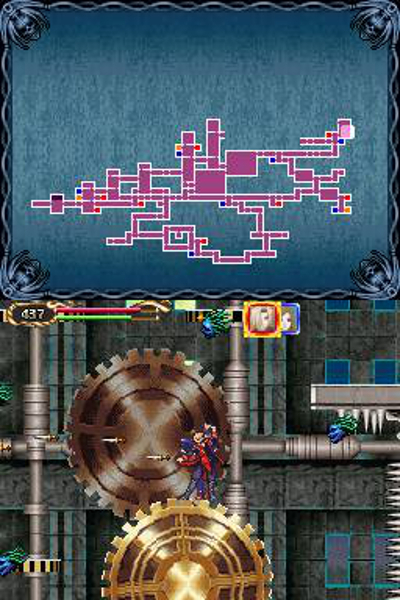 There were still plenty of rote simulation style missions among the scant goofy mystery and puzzle style missions. Granted, I got to solve murder mysteries, fight off UFOs and skyscraper-sized enemies, and play as Cyborg Ninja, but this off kilter style of mission was less abundant than I had hoped for. Even with these goofy scenarios, the highlight of this mode was perhaps the final mission I tackled: the VR mission. To clear it, I had to make my way through a truly challenging ten stage gauntlet within a fifteen minute time span, which was always tallying time, even factoring in restarts and deaths. It took me a few attempts before I could do it but when I conquered it, excelsior! It honestly forced me to use much of what I’d learned up to this point to succeed. A camera mode was one of the unlockables, and very underwhelming. Afterwards I got a schematic for Metal Gear Ray, to be featured in the then-unreleased sequel. Again, I was a little disappointed after a dozen hours and a 100% rating for that to be the reward. That’s not to say I didn’t have fun, the game simply grew tiring. There were loads of exciting missions and a lot of variety in the scenarios I was put in and what the missions tasked me with. Unfortunately, many of these had to be repeated which stripped the time spent of diversity as I was repeating much of the game twice. It comes off as a hard game to recommend to anyone but the most diehard fans of the series, and even then I’d caution against playing the time attack versions until all unplayed missions have been exhausted. That should extend the enjoyment and reduce the sense of repetition that I encountered in my time with the game. When I talked about Fallout Shelter last week, I began by considering it in a vacuum. Without partners playing too, it grew to resemble a chore more than an enjoyable escape. 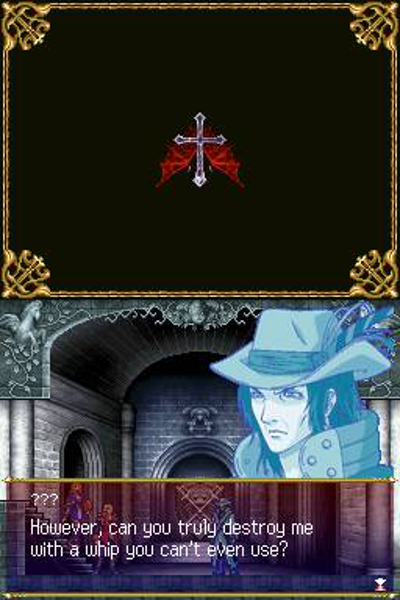 I feel like taking the same approach with Castlevania: Portrait of Ruin but for a different reason. In a vacuum, this game is practically the pinnacle of the 2D action-adventure genre. The addictive blend of action, exploration, and role-playing elements that the series is known for, still make up the core experience of this game and pair well with new additions. Level design remains fresh throughout, in part due to the top-notch audio/visual qualities and varied surroundings. The reasons to continue playing after completion are immense as well, but, this is like the fifth Castlevania of this style I’ve played, and while they’re individually superb, they elicit less exhilaration after each completion. Per usual, the animation was top-notch. 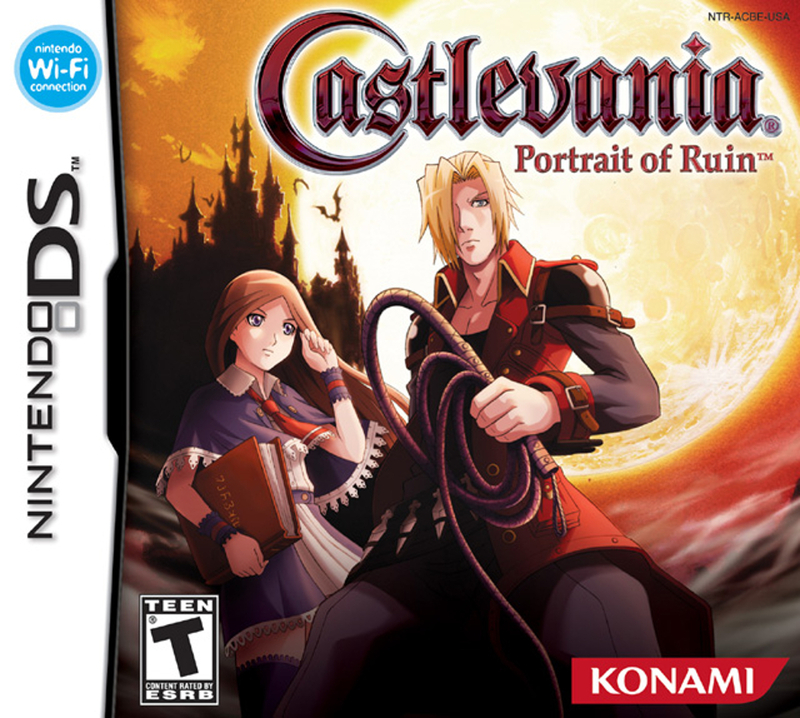 When it was released for the Nintendo DS in late 2006, Portrait of Ruin was joining an already extensive collection of similar Castlevania titles that had released relatively recently. Koji Igarashi and his crew at Konami differentiated this game in a few ways, most notably, by focusing on two characters instead of one. The plot centers on Jonathan Morris’ quest to quell Dracula’s uprising amidst a war-torn Europe circa 1944 with his partner Charlotte Audin. He resembles the typical Castlevania protagonist in many ways while she is a spell caster with a growing repertoire of spells, another series staple. I could freely switch between the two at all times and this allowed me to dabble with both combat styles – weapons with him and magic with her. These two styles were vastly different in execution and perhaps because of my familiarity with previous entries, I stuck with Jonathan. When not actively controlled, the partner was still useful. They would automatically attack on-screen enemies, albeit with little intelligence. This was beneficial in dealing with enemies but it proved most worthwhile in drawing enemy aggression towards the partner, allowing me to attack from behind. Outside of combat, the duo was put to use in progressing past a few (generally half-assed) puzzles. The most memorable of these had both characters riding motorcycles and tasked me with switching between them in order to make sure neither was knocked off by various obstacles. It was a fast-paced puzzle that made me stop and think of a viable solution, unlike most others. 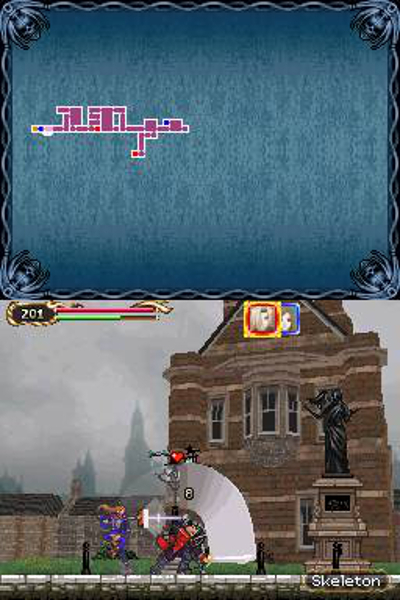 The game had a limited number of NPCs, but each was integral to the plot. Additionally, the game was distinguished by the variety of locales Jonathan and Charlotte traversed. Now, the primary setting was Dracula’s Castle (naturally) but much of the duo’s time was spent exploring the paintings strewn about, a la Super Mario 64. In keeping with the series, these maintained a gothic design. They transported the pair to the streets of a bombed-out European city, a nightmarish circus, and many more unique backdrops that would’ve seemed out of place as disparate areas of the abominable abode. The series has always attempted to segregate Dracula’s Castle with diverse milieus but this is the best example I’ve seen. 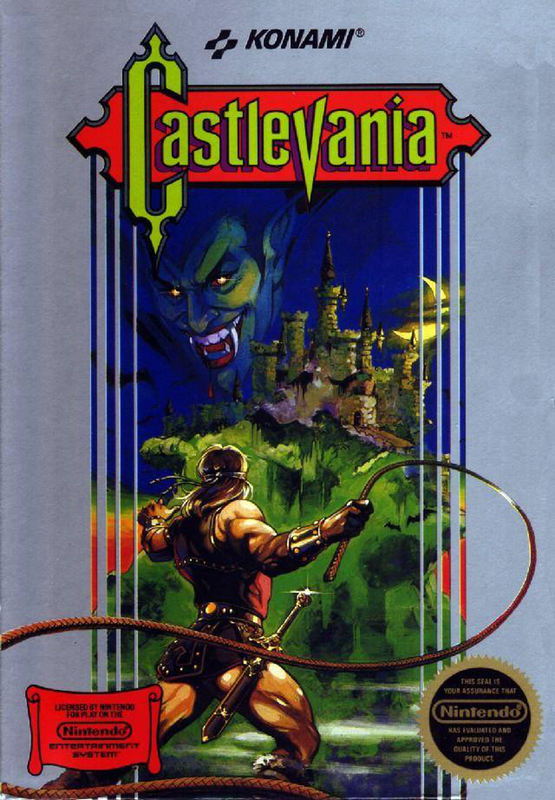 Although Jonathan’s quest was to banish Dracula’s Castle, that vile vampire wasn’t an issue until late in the game. While the castle had arisen because of the agony and hatred within humanity during this period, another vampire took advantage of the castle’s powers for his own agenda and prevented Dracula from reviving. That vampire, Brauner, ultimately worked towards the same end goal of humanity’s destruction, but did so out of the hatred he felt for losing his daughters during the First World War. Brauner was able to harness the power of Dracula’s Castle through his paintings. With assistance from newfound friends and through the evolution of a subplot or two, Jonathan and Charlotte were successful in cleansing the castle of Brauner’s influence and ultimately dealing with Dracula and his ilk. Some sections of Dracula’s Castle may look familiar to veterans of the series. There were plenty of reasons to keep going once the story was finished too. Exploration and the mapping of Dracula’s Castle has been a core component of the series since Symphony of the Night, and this game doesn’t disappoint with its 1,000% MAP COMPLETION RATE! That number is perhaps artificially high because of the multitude of paintings, but there is a lot to explore nonetheless. Moreover, there were many collections to complete such as obtaining all items or filling out the bestiary and mastering each sub-weapon, powering them up in the process. These are customary features for the series but also available were sidequests from one of the duo’s associates. I believe this was a first for the series and I had completed maybe 15% at game’s end after passively trying, so there’s much to do on that front. Two more sets of playable characters could also be unlocked and both changed gameplay dramatically. The environment remained the same with both but the equipment and magic customization was backpedaled completely and a story was basically nonexistent. One pair of characters was a throwback to the classic days of the series with a focus on sub-weapons and the legendary whip, Vampire Killer. This duo was overpowered and playing with them felt like I was in “God mode.” The other duo utilized the touch-screen exclusively. The touch-screen was integrated into the game elsewhere but I literally never used it. The execution with these two was actually very intriguing and their individual means of attacking required different touch-based actions. 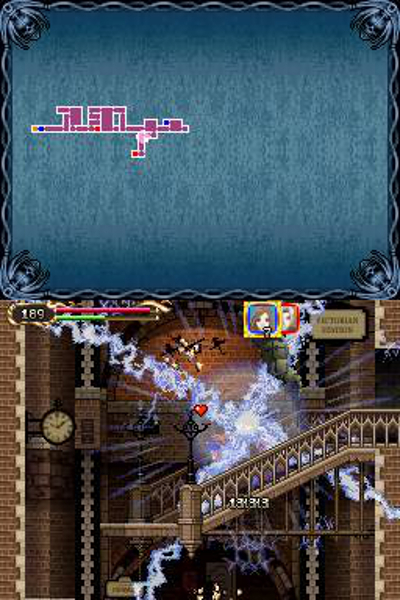 A Boss Rush mode was also available after completion as well as a co-operative mode (multi-card only). The duo had access to super-powerful co-op attacks that drained their MP. Castlevania: Portrait of Ruin has all the staples I’ve come to expect from the series as well as a few differentiating features. The core of these, a focus on two characters, helped to freshen the formula but it was probably the variety of settings that kept me most entertained. Not to mention the accoutrement found in the various collections to complete, sidequests to beat, and unlockables to try out after the plot had wrapped up. The more modern backdrop and the twist on the classic premise were appreciated as well. I think this is probably the most complete Castlevania I’ve played of this style, but I don’t think it tops Aria of Sorrow for me. That was my first foray into the series and each one I’ve played since has been chasing that experience. They’ve all been outstanding, but like the saying goes, I’ll never forget my first, and I’ll forever be comparing successive entries to it. The hype and critical acclaim surrounding Metal Gear Solid V: The Phantom Pain got to me (it started last year with this). With my tendencies though, I’ve opted to ignore that title for now and jump in at the beginning: Metal Gear Solid. Technically Metal Gear would be the beginning, but whatever. My usual cohort is following suit and he’s postponing his time with MGSV until we make it through the core series. If there were any gaming series that would benefit from this way of playing, this would be the one. These games are dense with dialogue and exposition and understanding or linking them together coherently may come easier after freshly experiencing them. To assist, I’m going to be doing intense note-taking in the hopes that I’ll understand the narrative and characters even better. He doesn’t know what’s coming. Before ever controlling Solid Snake we went through about twenty or thirty minutes of backstory. Most of which was done through (optional) barely animated briefings and through these, the inspiration of Escape from New York was apparent. The characterizing aspects of Solid Snake and his initial mission mimicked Snake Plissken’s so closely I’m surprised there wasn’t legal action! 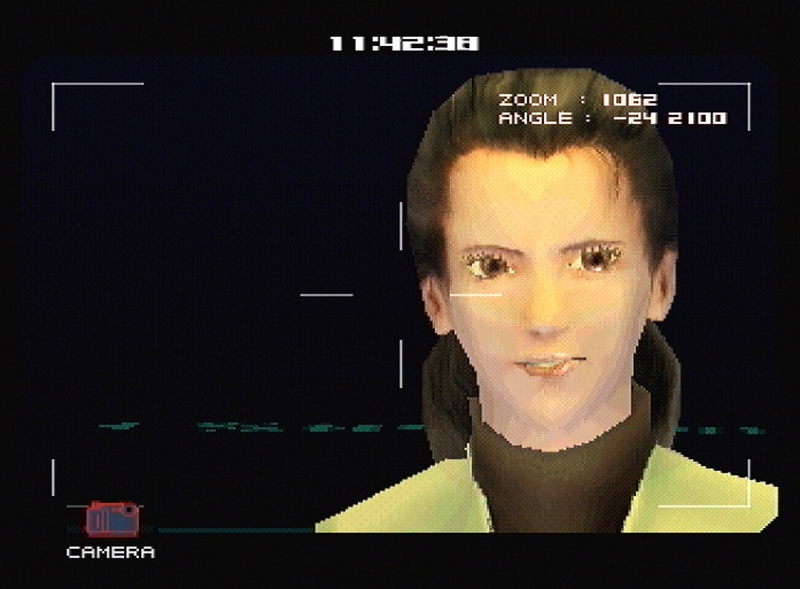 We were also treated to a few Codec conversations and cinematic cutscenes illustrating Snake’s infiltration of Shadow Moses Island. The latter highlighted why it was, and still remains, so highly regarded. Hideo Kojima and Konami revived a classic series in the guise of a big-budget action movie and defined the modern era of storytelling in video games. The story that unfolded over the next dozen hours centered on Snake’s stealth mission to recover two kidnapped figureheads associated with the U.S. Dept. of Defense and prevent the terrorist group responsible from using a bipedal nuclear equipped robot: Metal Gear Rex. The group responsible is actually the black ops Army unit that Snake once belonged to: FOX-HOUND. The current members have gone rogue, calling themselves the Sons of Big Boss, and are requesting the remains of Big Boss (the unit’s founder). They want access to his genes, which in the wake of the Human Genome Project the U.S. has been secretly isolating “soldier genes” and injecting them into soldiers, creating a “genome army” with skills more proficient than the average warrior. Big Boss was “The Greatest Warrior of the 20th Century” after all. The story gets way more convoluted from there and at times, it felt like a break was needed to understand the events or conversations that just happened. I did strive to take comprehensive notes and playing with another person also helped to soak in the data and translate it into information. Once we’re done with the series, I’m going to try and understand everything as best I can and that’ll probably involve writing a synopsis of each game. The series, and this game in particular, doesn’t require in-depth note-taking to find enjoyment or some understanding but the lore is so rich that I feel like it’ll be rewarding and enlightening in the end. For the most part, the events that take place seem plausible and with a little imagination, realistic. Maybe the thought that a bipedal nuclear equipped tank of sorts would be the ultimate weapon is a little farfetched, but this is a game whose inspirations also include mecha anime. The characters that make up the cast on the other hand, specifically FOX-HOUND, well, they’re less believable. They are, however, a rogues’ gallery of fascinating villains. 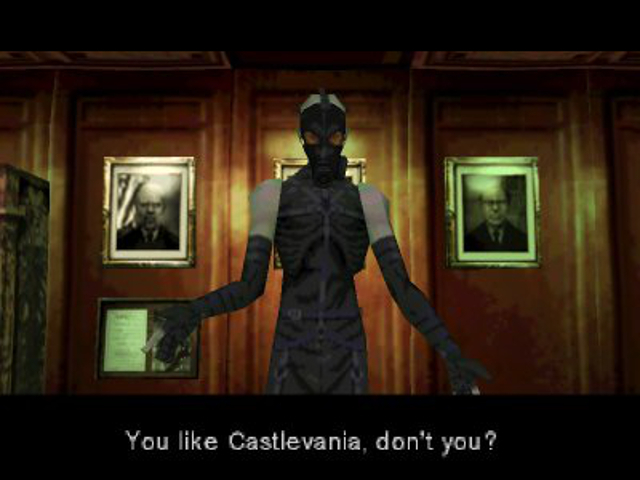 The standout is of course Psycho Mantis, whose psychic abilities included reading the files on the memory card, predicting the player’s actions (forcing the player to plug the controller into the second controller port), and a few other “breaks” in the fourth wall. One of the most memorable boss fights of all time. The battle with him will remain one of the most memorable video game boss fights for a long time to come, but they all weren’t as great. The majority of them are very memorable, if only for the fact that the fights themselves were generally bookended with much conversation and featured the distinctly unique members of FOX-HOUND. Others will remain memorable to us specifically because of their difficulty. Whether it was the uphill battle we were in for because of Solid Snake’s limited health or the challenging situations we’d just gone through beforehand, I’d say a quarter of the fights took a half-dozen attempts each. One thing’s for sure, like the members of FOX-HOUND, each boss fight was unique and required different weaponry or tactics. While the battles could be frustrating depending on the circumstances, the typical sneaking gameplay wasn’t so hard. Honestly, it didn’t make up a lot of the game in retrospect. The memories of my original playthrough ten years ago are filled with the feeling of helplessness after getting caught and just giving in to the enemy’s weapon fire in order to quickly restart. That didn’t occur to us often on this playthrough. We did get caught every now and then, but we were able to successfully evade capture or quickly eliminate a soldier or two before it escalated to total despair. I imagine we’re just playing smarter than high school me. 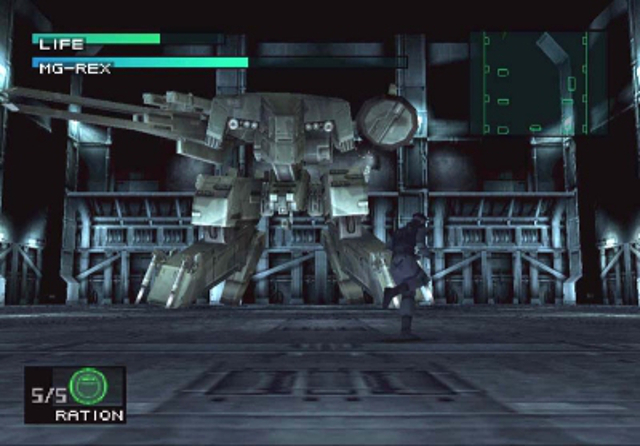 The showdown with Metal Gear Rex, like a few other boss fights, was no walk in the park. It’s been seventeen years since this game was originally released and I think playing it is still as vital to one’s gaming résumé as it was then. This is a cinematic game that was unlike any other at the time of its release and one that still stands out today. With a complex narrative, feature film presentation, and audio/visual qualities that were remarkable for their time (and still respectable today), Metal Gear Solid is a must-play game. I didn’t find playing it as enjoyable as watching it and trying to follow along with the intricacies of the plot could be difficult, but there were some brilliant sections and set pieces nonetheless. The stealth aspects remain a challenging and enduring appeal for me, but the negative experiences we had with a few of the boss fights outweighed the positives. It’s a landmark video game, all in all. On to Metal Gear Solid 2: Sons of Liberty! 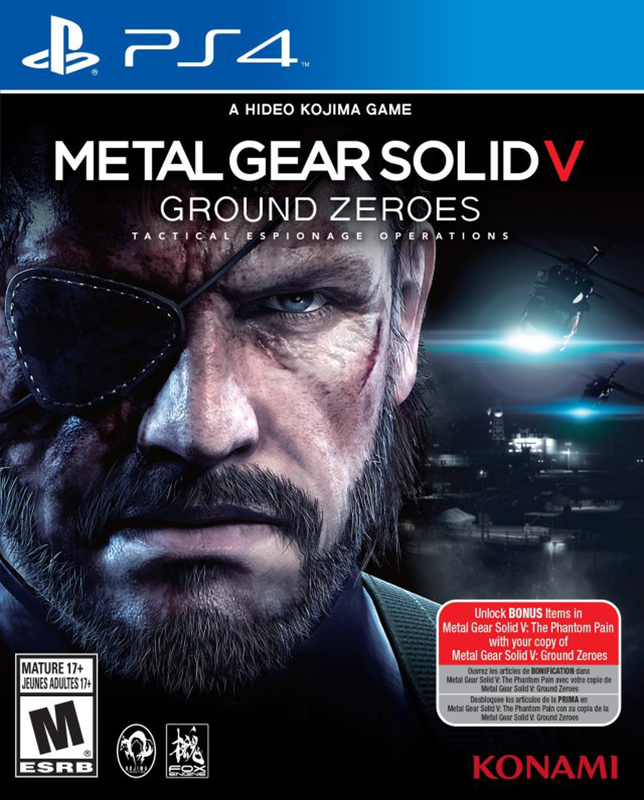 Honestly, I’m surprised by how much I enjoyed Metal Gear Solid V: Ground Zeroes. Granted, it was the first game I acquired and played on my PlayStation 4. That maybe had more to do with its budget price though. That, however, was also a factor that colored my interpretation of the game when it launched March 18, 2014. Most of what I remember about the game’s reception was negativity regarding its length and cost. I totally agree with that assessment after playing it, but I also agree with those who praised it for many reasons. It’s an incredibly polished, brief experience that one can easily be seduced into playing for more than the requisite hour. The “core” mission is very short – I believe I completed it in about an hour. Snake infiltrates an American black site on Cuba with the goal of rescuing two young members of his special unit. The game opened, per usual, with a lengthy, awe-inspiring cinematic cutscene. The focus was a man with a disfigured face and his conversation with one of the hostages, just after he’d (presumably) violently interrogated the other. As I haven’t played any of the games dealing with these characters and this time period, I was a little lost in regards to their importance. Still, Snake had his mission and I obliged. Holding enemies hostage was a way of obtaining non-crucial information. Upon the completion of the game, a handful of other “Side Ops” could be unlocked. These weren’t cinematic ventures directly related to the impending big show (Metal Gear Solid V: The Phantom Pain), but rather, just more missions. Everything took place in the same environment, and after playing for a half-dozen hours, I’m very familiar with this black site! The lack of variety didn’t bog down my impressions of the game though. If anything, it helped me to appreciate it more. As I went Trophy hunting, I replayed these missions a handful of times, and restarted more than I’d like to admit! After all of this though, I’m very familiar with the depth of my actions in tackling any given scenario – it had a definite open-world vibe to it. The game was difficult to get acclimated to at first, especially as I haven’t played a game in the series in two or three years. But, as I was driven to collect Trophies, I stuck with the game after each mission’s initial completion, and really grew to relish the opportunity in sneaking about and stealthily resolving enemy threats how I wanted. It would be a Metal Gear Solid game without sneaking. It’d be a Metal Gear Rising game! I won’t dive too deep into the nitty gritty of the gameplay, but there were a couple new mechanics worth mentioning. In my opinion, “Reflex Mode” was the most impactful. If I was spotted, time would slow for about three seconds and I’d have the opportunity to react and potentially prevent a compound-wide alert from taking place. Most usually, I’d land a headshot with a tranquilizer and instantly put my foe to sleep. Maybe I was close enough to grab hold of him, get some information and then knock him out. I probably wouldn’t be careless enough to have a lethal weapon equipped, because after I landed the fatal headshot, another guard would’ve possibly been alerted by the sound. In any instance, I would immediately stash the body. Another new element to the series seems to have been lifted directly from Far Cry 3. 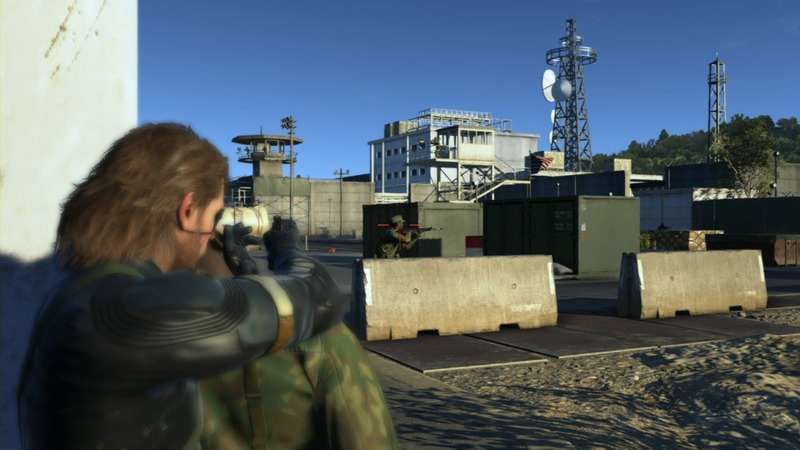 Snake has a great pair of binoculars in his possession, and when an enemy is spotted, they’re permanently marked. A red triangle hovers above that enemy’s head which is visible from any point on the compound. The enemy is also permanently visible on Snake’s iDroid (an all-in-one map utility), which seems out of place considering the time period, if only name wise. Also, when nearby, Snake would occasionally catch a glimpse of the enemy in detail, even through walls; this is described as a “stealth instinct”, or something to that effect, but it’s very reminiscent of the abilities of Batman in the Batman: Arkham series. Just kicking back on the beach, mowing this fool down, what about you? The Metal Gear Solid series is one of those series’ that if it wasn’t around, video games would just feel different. Early on the series had an impact that few other games can claim – it inspired other game developers. I don’t know if the series has that same weight behind it today, for whatever reason one can gin up. One thing remains the same: the attention to detail and care that goes into these games’ development is palpable. Despite this game’s length and stated purpose as an introduction to the “true” Metal Gear Solid V, the level of its refinement and depth is kind of crazy. It’s a very challenging game, especially if one’s driven to collect Trophies, but it’s an incredibly well-playing game. It may have been decisive when it released with a $40 price tag, but at its current $20 (or even $7 on PSN! ), it’s a no-brainer.